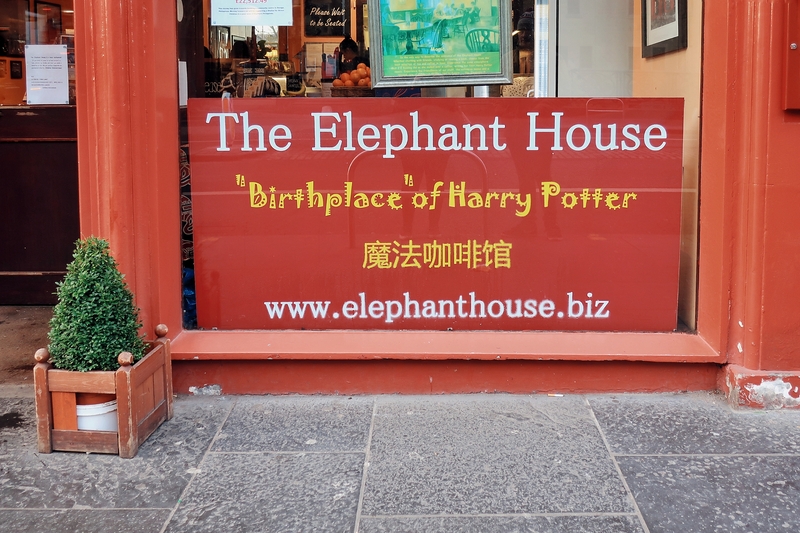 When I visited Edinburgh last month, one statement put The Elephant House right to the top of my bucket list – ‘the birthplace of Harry Potter’. It was quite a bold claim, and one not entirely based on fact – J.K. Rowling actually came up with the boy who lived on a train journey to London –nevertheless, it is true that she spent a lot of time writing her novels in the café. So with a little help from a large window display, The Elephant House has become a mecca of sorts for Harry Potter fans. 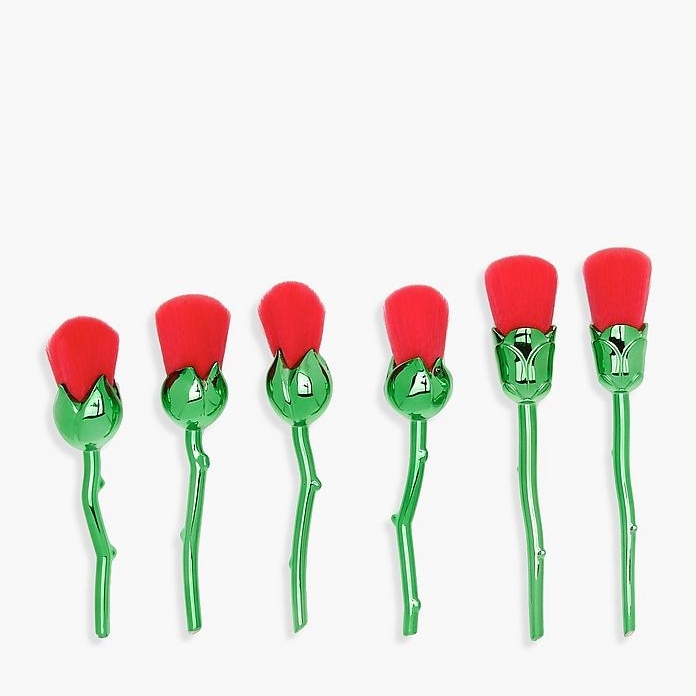 I’ve got to admit, it wasn’t quite what I envisioned. 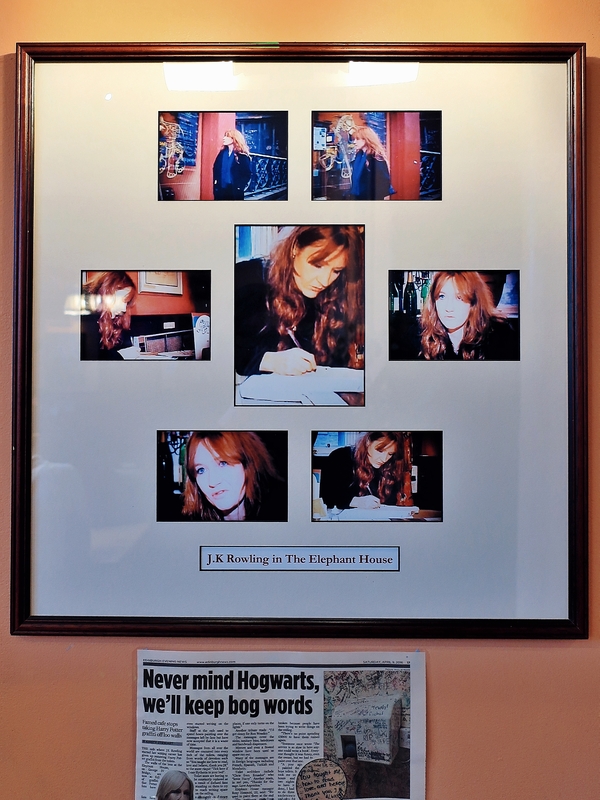 I kind of pictured this treasure trove of Harry Potter memorabilia, with photos and manuscripts – maybe some magic themed breakfast items – and while the cafe holds a few references to Harry Potter; a picture of JK writing in the cafe, and a bathroom covered with fan’s signatures – it’s mainly dedicated to its namesake, the elephant. 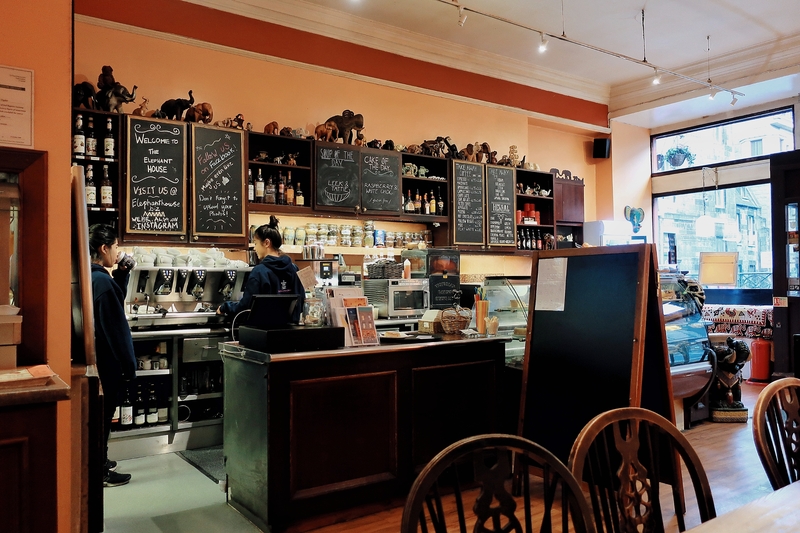 At first I was a little dissapointed that there wasn’t – more – but the fact that this coffee house has remained authentic, given its very famous clientele, is definitely something to be commended. 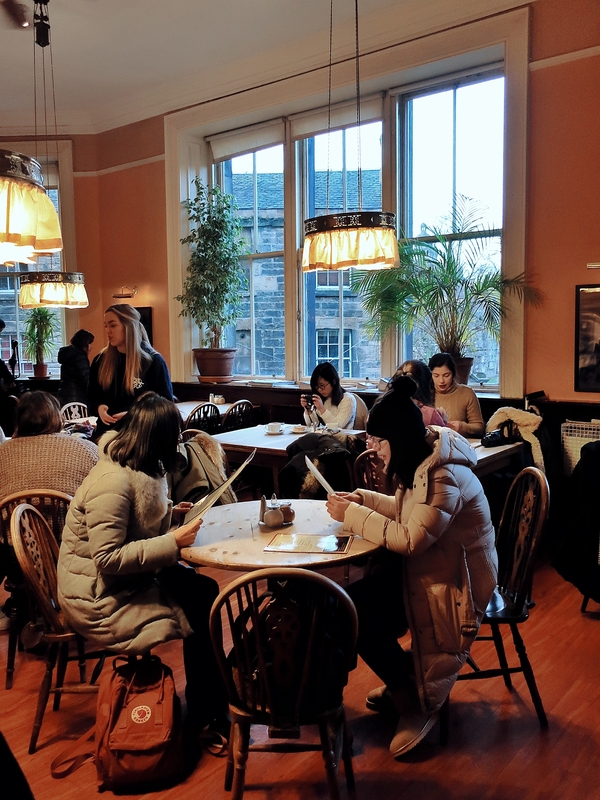 It also gives a true representation of how the café might have appeared when Rowling frequented the place – minus the hordes of Japanese tourists. 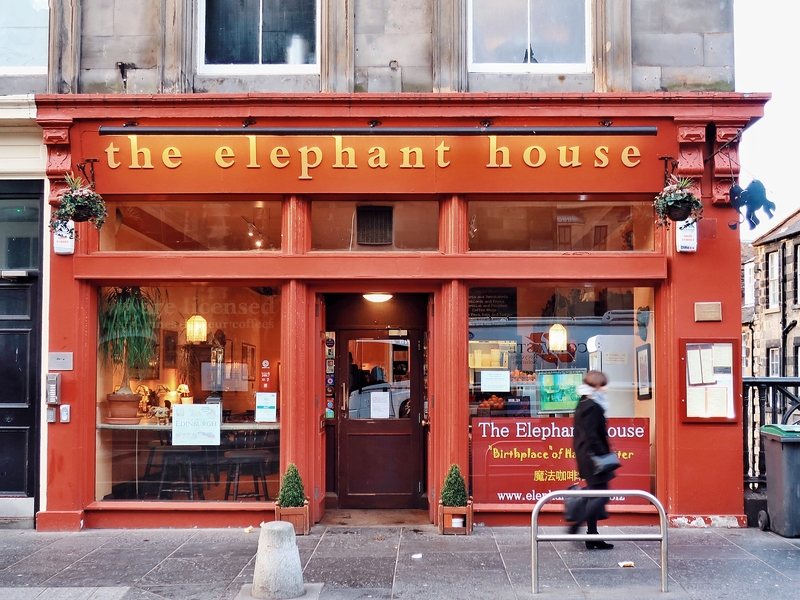 Sat snuggly on the George IV Bridge, The Elephant House was warm and cosy and filled with the aroma of freshly ground coffee. Jess and I arrived just after it opened on a Saturday morning, already starting to fill up with tourists. We opted for a seat at the front of house – as opposed to the busy back room – where the only other person in our vicinity was a lady tapping away at her laptop. I like to think she was a fellow author, finding inspiration in J.K. Rowlings footprints. The food itself wasn’t anything special. With a menu full of basic breakfast items, listed in both English and Chinese, I went for the pancakes with a side of bacon. Jess ordered a full breakfast, but unfortunately both meals were a little disappointing. 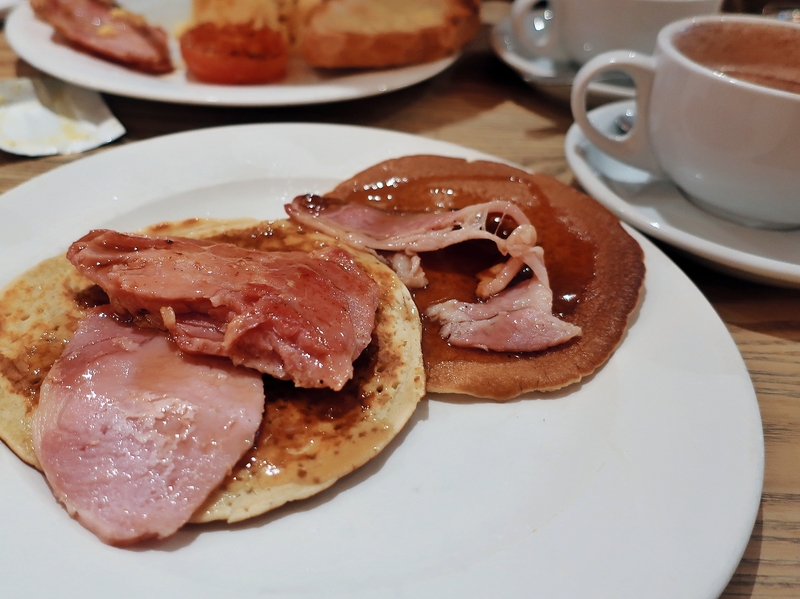 My pancakes were nice enough, but the bacon came in one huge clump, almost as if they hadn’t separated the rashers before they cooked it – it was enough to make want to go back to being a vegetarian. Jess didn’t get on much better and left half of his meal. Both of us wondered how long we had to wait until it was acceptable to eat second breakfast. Ultimately, the novelty of being in one of the places J.K. Rowling wrote Harry Potter wore of pretty quickly, especially after paying a pretty sizable sum for a breakfast we hardly ate, and so, we left feeling a little chested, but it’s not every day you can say that you sat at the same table as one of your favourite Authors, so I’m still glad we went. 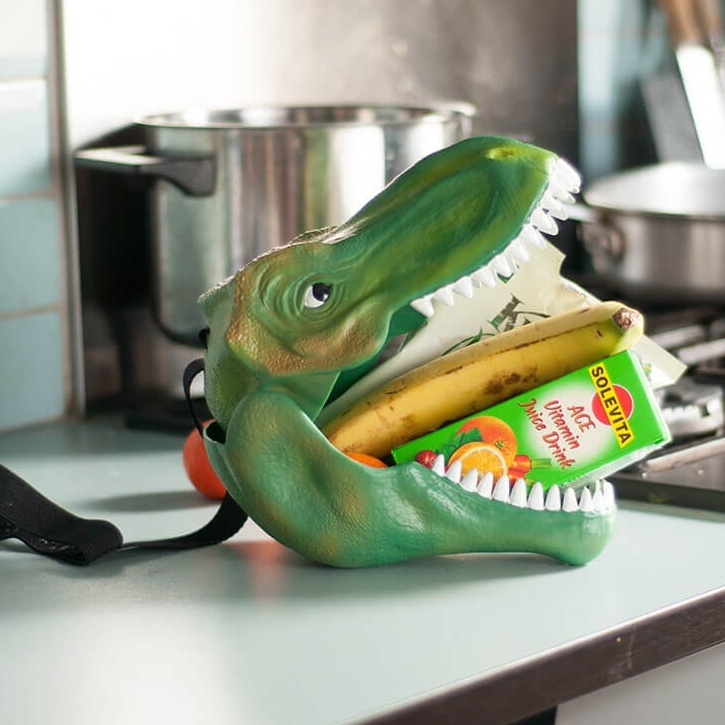 Hindsight is a beautiful thing, therefore I have a few tips if you’re heading to The Elephant House which will hopefully mean your trip goes a little bit smoother than ours. It’s a place every Potterhead should visit at least once. Make sure you check out Diagon House as well. You can read a little more about it here. 1. Arrive Early. We managed to get to The Elephant House as it opened and walked straight in, but when we left an hour and a half later, every table was full of people and a queue had started to form at the door. If you don’t fancy waiting in line, try to get there early, or head there in the late afternoon. 2. Get a table with a view. Even though the back of the café can get quite busy, the view is stunning as the windows look out over Edinburgh. You can see the castle and the café itself overlooks Greyfriars Kirkyard – the cemetery where Rowling found inspiration for some of her characters. 3. You don’t have to order anything. If you’re pressed for time, and don’t want to wait in the queue, but still want to have a look around, you can give the café a small donation and enter without buying any of their pretty terrible food. 4. Go to the loo. 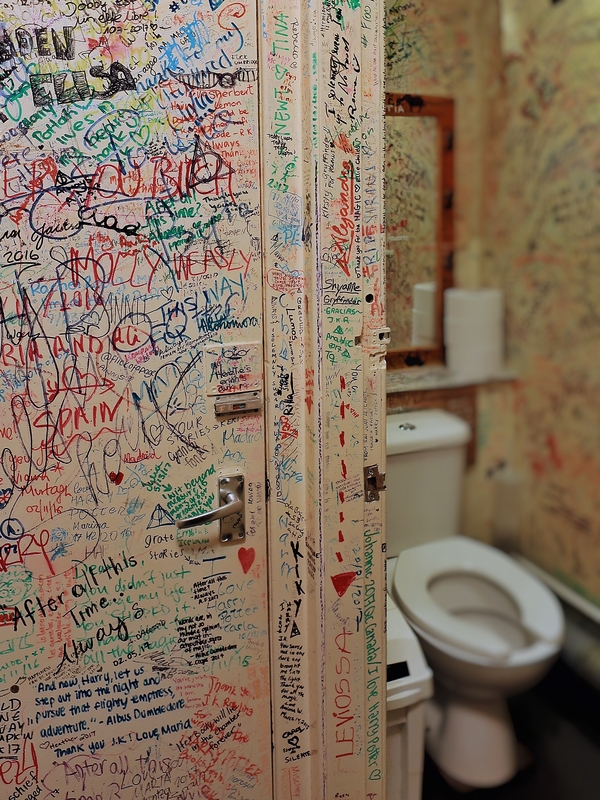 You never know what you’ll find in the bathroom of a café or restaurant, that’s why I always check them out before I leave – just in case. This one is particularly amazing. 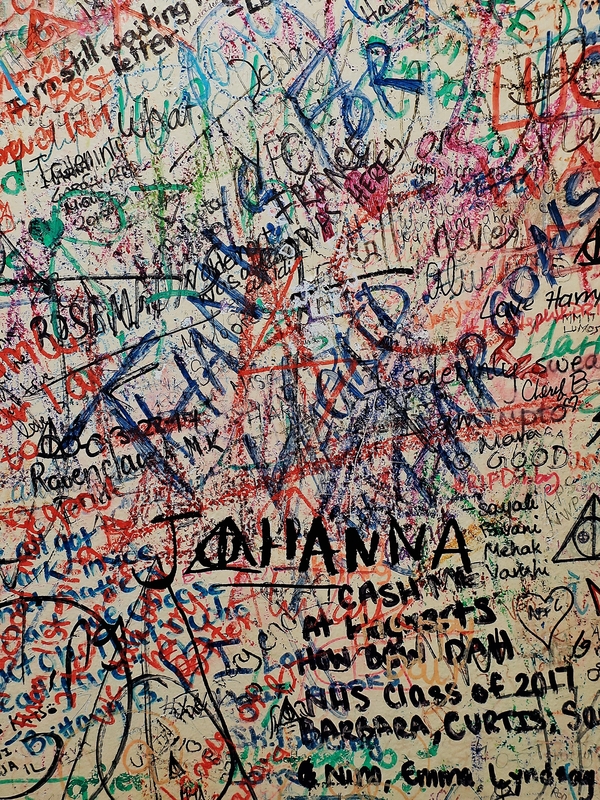 The walls are covered with inscriptions left by Harry Potter fans from all over the world who have visited The Elephant House. 5. Bring a Pen. 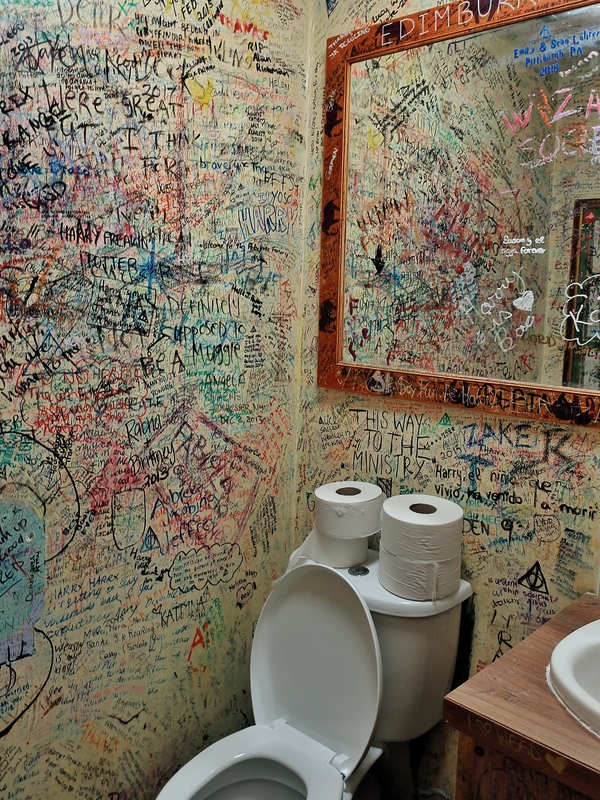 Make sure you leave your own inscription on the wall. There’s not much space left, but once you find a small space, grab that sharpie and add your own little love note to J.K. Rowling and the amazing world she’s created. Is it over priced? Is that why you shouldn’t buy food there? Yeah, overpriced and the food just wasn’t that nice, but then – I can only speak for the breakfasts we personally had. Others have said that the cake there is nice. It’s definitely a must see, even if it’s just to pop your head in and check out the toilets.